Cadillac has an abundance of pizzerias or pies you won’t find anywhere else. Keep it original or try something new at one of our many options! If you know of anymore within a 20-mile radius of the Cadillac area we could add, please let us know! Pizza Plus: [302 N Mitchell St, Cadillac, MI 49601 231-775-7727] Specializes in thin, crispy, handmade and old fashion style pizza. Always a good option if you’re looking for a classic. Why fix something if it’s not broke? Mancino’s Pizza & Grinders: [707 N Mitchell St, Cadillac, MI 49601 231-775-6558] Known in Michigan for their grinders, delve into a 12-inch or a 6-inch sub of your choosing. Mancino’s has got anything you can think of. G&D Pizza & Party Store: [223 S Mitchell St, Cadillac, MI 49601 231-775-1229] Offers pizza by the slice for those who want a quick snack. Also check out their subs, salads, pretzels, and desserts. Midtown Food & Beverage: [860 N Mitchell St, Cadillac, MI 49601 231-775-0910] For pizza lovers, grab a Midtown pizza any time of the day. Stick to the classics or take a stab at a specialty pie, you can even come in early for a breakfast pizza. Coyote Crossings: [8593 S 13 Rd, Cadillac, MI 49601 231-862-3212] You’re going to love Coyote Crossings specialty pizzas. Try the chicken artichoke or stick to the originals, simple, meat lovers, veggie, supreme and Hawaiian. The Timbers: [5535 M-115, Cadillac, MI 49601 231-775-6751] Timbers has many variations of pizza using their signature thin crust made from wheat ale beer and a special four cheese blend. 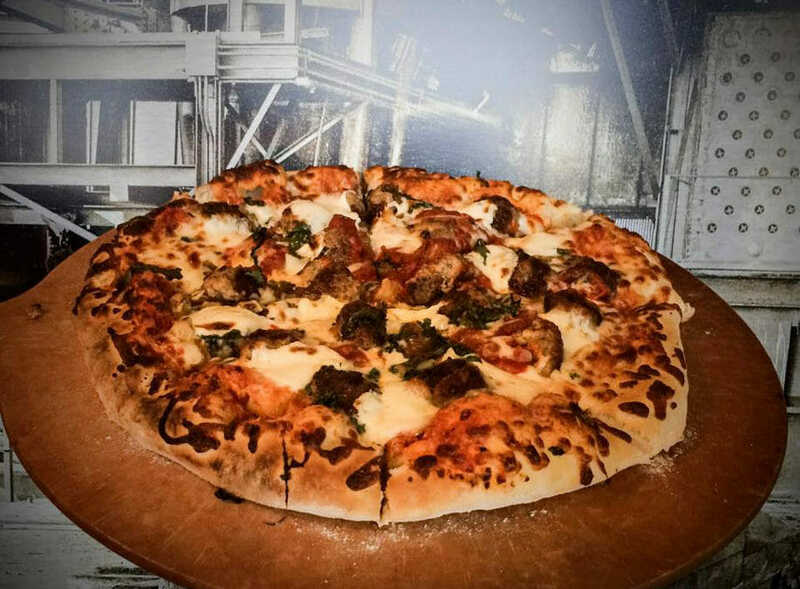 Clam Lake Beer Co.: [106 S Mitchell St, Cadillac, MI 49601 231-775-6150] Go for any of the seven brick fired pizzas while you enjoy a good draft or domestic beer downtown. Curly’s Bar & Grill: [7880 Mackinaw Trail, Cadillac, MI 49601 231-775-9947] Come in after a round of golf to Curly’s where your classic pizzas are hand-stretched to perfection and made to order. Rosa Blanca Bodega & Eatery: [2420 Sunnyside Dr, Cadillac, MI 49601 231-779-1570] Stop in during spring, summer, fall or winter and test some seasonal pies or deep dish and specialty pizzas any day of the year.